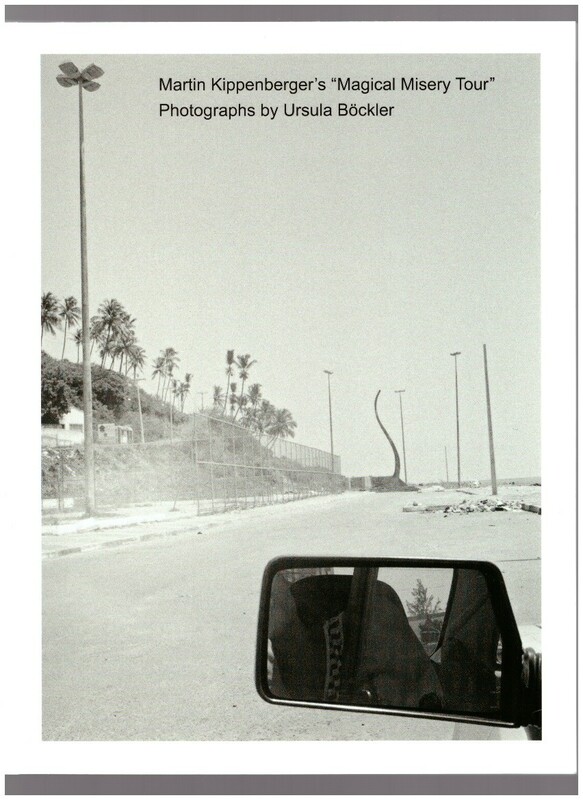 A book of Martin Kippenberger's ''Magical Misery Tour'' touring Brazil and Salvador in 1985 and 1986. The documenting photos from Ursula Böckler show him, sometimes also her while doing touristy stuff - posing while eating with the forks up, standing next to modernist monuments, dancing with girls or just showing parts of his sunburned upperbody and or simply looking into the camera, back to the viewer. Part roadtrip/ part performance whose paratexts will be in the aftermath shown in April 1986 in the Galerie Achim Kubinski in Stuttgart, Kippenberger performs the recognisable western tourist with his selfmade ''Magical Misery Tour'' T-Shirt, while at the same time evoking Cortazar's and Dunlop's The Autonauts of the Cosmoroute by making up a new name for a no name gas station or wearing a silly cylinder hat that says ''no hope''. Black and white and coloured photographs with an introduction in German, English and Portuguese from Ursula Böckler.